On a sunny March day, Onew, Jonghyun, Minho, Key and Taemin flew from Incheon airport in Korea to Pearson airport in Toronto. The reason? To kickoff the start of their North American Tour. Some have been waiting for years, others for a couple of weeks. Finally, they’ve arrived. 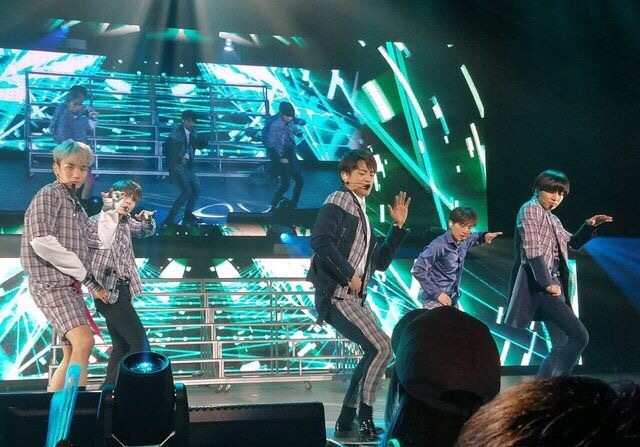 Five member k-pop boy group SHINee has come to Toronto on tour. SHINee debuted under Korean entertainment powerhouse S.M. in 2008 with the song Replay. They quickly became popular in Korea with songs like Juliette and Ring Ding Dong, yet it was with the release of their single Lucifer that they achieved international recognition and fame. Expanding into different facets of the entertainment industry from Radio DJ-ing to acting, all the while producing new music, SHINee has been developing to become top Hallyu stars. Even mere moments before the venue doors opened SHINee was rehearsing to give their best to Canadian fans. Some fans were crying, others were frozen still. But everyone was excited to see these boys perform. “We actually got into [Kpop] from anime,” said Sarah and Natalia, fans of Kpop and of SHINee. “I’ve listened to K-pop casually and got more into it in the past year”. These girls are just a few of the thousand people who attended the Toronto leg of the tour and traveled all the way from Buffalo, New York to see their idols performing in person. Kpop concerts in North America draw a big crowd of people from different parts of the continent due to concerts or fan meets of their beloved idols being held closer to Korea in countries like China and Japan. I myself left my Church in Ottawa early to make it to the concert in Toronto on time. For this concert, Shawol -shortened version of SHINee’s fan club name- from Canada were reached out to by Japanese fans with light sticks and banners to help add to the festive feeling of the affair. 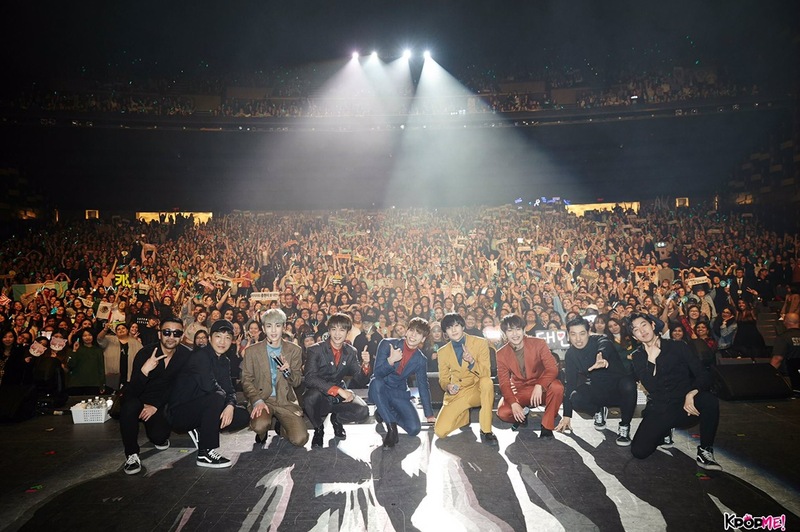 As it was SHINee’s first solo concert in Canada, fans wanted to encourage the boys and be a receptive audience. In the moments before the beginning of the concert, anticipation swelled as the audience reacted to the changing of songs for the intro. Then, with a bang, SHINee began the show, captivating the eyes of everyone in the venue. There was not a sign of jet-lag or fatigue, the young men were in sync with the music and each other. Throughout the show the boys took moments in between sets to chat with the audience, making sure they were enjoying the show. It was endearing to see the lads utilize their varying levels of English to connect with the audience. Some of the performances that I liked the most were of the song “Everybody” and maknae Taemin’s solo “Goodbye (Sayonara Hitori)”. “Though SHINee is known as a performance group, we also do ballads,” said member Key. While the majority of the songs performed were perfect for a feel good, jamming setlist, there were other styles of songs that they performed as well. They brought the mood of the venue calm by singing soulful songs that left the audience in wonder. I wish I could have stayed in that moment for the rest of my life. In moments of my life where I felt emotionally low, SHINee was one of the groups I turned to for laughter and a return to high-spirits. Seeing those five lads on a stage with my own eyes was a wonderful experience that I will remember for years to come. Wow! Lucky you! You seem to have had a great time! I didn’t know them well, but I got the chance to see them perform in Seoul, and I immediately understood why they were so popular. I was impressed by their dancing, and I loved the very positive vibe they projected. Thank you for sharing your experience with us!